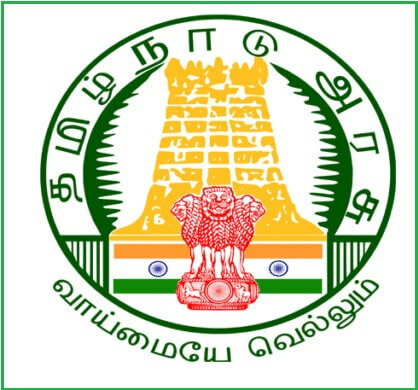 TNPSC AAO Exam Syllabus 2019: The official TNPSC AAO Exam Syllabus 2019 is provided below. 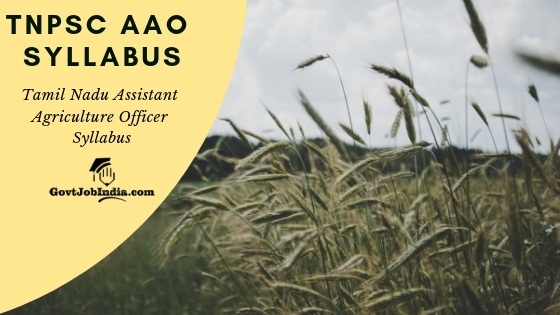 The Tamil Nadu Assistant Agriculture Officer Syllabus will be most helpful to all the candidates who are appearing for the TNPSC AAO Exam 2019. The syllabus provided here is sourced directly from the official website of the TNPSC. So, candidates can refer to this TNPSC AAO Syllabus 2019 without any worries. Alongside the Exam Syllabus, we have also provided all the details regarding the TNPSC AAO Exam Pattern 2019. You will find all the details on this page. So make sure that you go through this page once before you start to prepare for your TNPSC Assistant Agriculture Officer Exam 2019. We would like to notify you that we have also provided the TNPSC AAO Exam Syllabus PDF on this page. You can download TNPSC AAO Syllabus PDF from the link provided at the bottom of this page. Educational Qualification 12th pass with a 2-year diploma in Agriculture from a recognized University Government of Tamil Nadu. Or else the university must be affiliated with the Tamil Nadu Agricultural University, Gandhigram Rural Institute, Dindigul District or any other institutions under the control of the Commissioner of Agriculture. The TNPSC AAO Exam will be conducted in the state of Tamil Nadu across several centres. The Exam aims to shortlist 580 candidates into the post of TNPSC Assistant Agriculture Officer. The exam will be conducted in the following exam centres. We strongly recommend that you check out the official TNPSC AAO Exam Paper Pattern provided below in order to get a better idea of the question paper structure. The Paper Pattern enlisted below is the exact same as the one present on the official notification PDF of the TNPSC. So you don’t have to worry about the authenticity of this document. The exam will be conducted for 500 marks. The TNPSC AAO Exam will feature two sections. Section 1 will feature questions that will be from Diploma level Agriculture Subject. Section 2 will feature questions pertaining to General Studies and Aptitude. Keep in mind that the question paper will be available in both English and Tamil. The complete TNPSC AAO Syllabus has been provided below. We request that you read the Tamil Nadu Assistant Agriculture Officer Syllabus provided here before you prepare for your Exam. The Syllabus is once again sourced directly from the website of the TNPSC. Therefore there should be no questions about its authenticity. Do not gloss over any of the topics mentioned below. The TNPSC AAO Exam is set to be extremely competitive. So make sure that you are preparing well for the exam. With lucrative salary options and a limited number of seats, a lot of people will be vying for the 580 Assistant Agriculture Officer posts. The Diploma Agriculture Exam Syllabus is too vast to be captured on one page. So we recommend that you follow the links provided below in order to download your TNPSC AAO Syllabus 2019. We are glad to inform you that the syllabus is available in both Englis and Tamil. We hope the TNPSC AAO Syllabus 2019 provided here has been satisfactory. Don’t forget to download and share the TNPSC AAO Exam Syllabus PDF as it will be very helpful to all who are appearing for the exam. Check out our other pages regarding the TNPSC Recruitment from the link section above. You can ask us all your doubts in the comment section below. Our team will make sure to help you out.